Sugar has just reached Rs.42/Kg in Belgaum and is expected to rise to Rs.50 in some days and due to this sweet sugar festival of MakarSankranti is facing the hit. Regular tilgul which were priced at Rs.40/Kg this year cost you Rs.60/kg. The more superior quality ones cost you anything from Rs.120 to Rs.150. The ones with groundnuts Rs.300 and cashew nuts Rs.500. The over all price increase has been 50% in some cases than previous year. Makar Sankaranti marks the transition of the Sun into Capricorn on its celestial path. This is significant considering the Winter Solstice marks the beginning of the gradual increase of the duration of the day. Traditionally, this has been one of many harvest days in India. 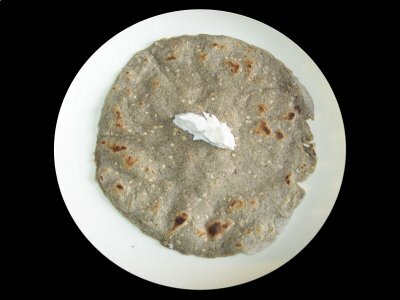 On bhogi day Special Bajra Bhakri and special vegetables are made here is the recipes to it. In Maharashtra it is called ‘Tilgul’ and in Karnataka it is called ‘Yellu-Bella’. Yellu means ’til’ or Sesame seeds and ‘Bella’ is Jaggery. A mixture of sesame seeds, jaggery, coconut and groundnuts are distributed to relatives and friends. ‘Yellu-Bella’ is normally distributed by women. There is a saying in Kannada “Yellu bella thindu olle maathadi” which means ‘Eat the mixture of sesame seeds and jaggery and speak only good’. Cattle are decorated with various colors and are made to jump over a bon-fire. 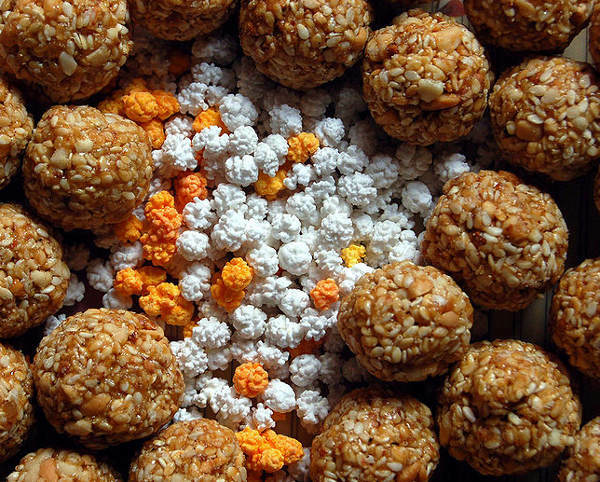 In Maharashtra on the Sankranti day people exchange multi-colored tilguls made from til (sesame seeds) and sugar and til-laddus made from til and jaggery. 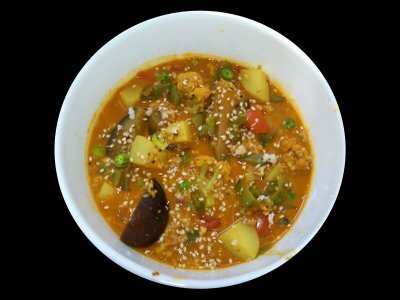 Gul-polis are offered for lunch. While exchanging tilguls as tokens of goodwill people greet each other saying – ‘til-gul ghya, god god bola’ meaning ‘accept these tilguls and speak sweet words’. The under-lying thought in the exchange of tilguls is to forget the past ill-feelings and hostilities and resolve to speak sweetly and remain friends. This is a special day for the women in Maharashtra when married women are invited for a get-together called ‘Haldi-Kumkum’ and given gifts (utensil, clothes, etc. ), which the woman of the house purchases on that day. Typically, women wear black sarees on this occasion.